Our spacious, stylish rooms provide your ideal holiday sanctuary by the sea! Each is elegant and well-considered, with just the right balance of modern comfort and classic character. A variety of rooms cater for different tastes and budgets, with top quality en-suite bathrooms and stunning views of the coast and countryside as standard. Use this section to browse our rooms and book your next stay in Cornwall. All rooms include: Vispring Beds for maximum comfort, telephone, TV and remote, Hairdryer, individual heating control, tea & coffee tray. Premier sea view rooms include: Vispring bed for the ultimate luxury bedrooms, homemade cookies, towelling dressing gowns, slippers, mineral water and fresh fruit (on request) in addition to the following facilities: direct dial telephone, flat screen digital TV, hairdryer, tea and coffee making facilities and individually controlled heating. Take a look at our views! 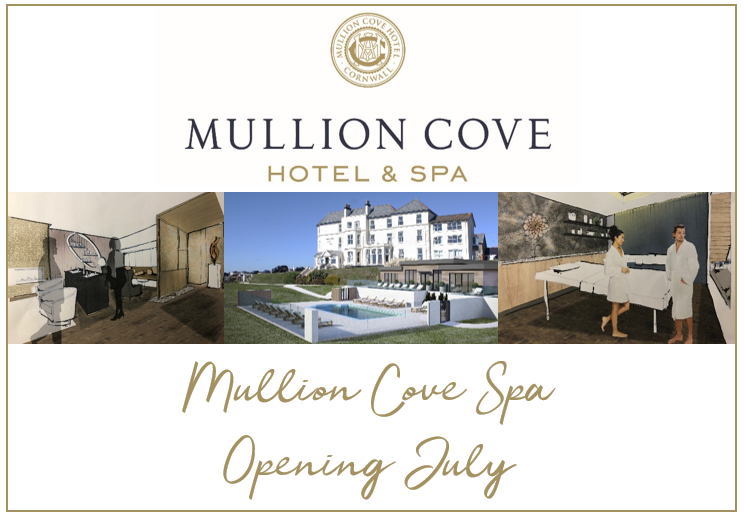 Situated on the first and second floors of the hotel, the comfortable sea view bedrooms at Mullion Cove hotel all have stunning sea and coastal views towards Mullion Harbour, Island and Cove or across the National Trust Headland and Coastal Path towards Lands End. All sea view double and twin rooms have the following facilities: Vispring beds for the ultimate luxury bedrooms, direct dial telephone, remote control colour TV, hairdryer, tea and coffee making facilities and individually controlled heating. Treat yourself to extra comfort and luxury, along with delightful views of the Cornish coast. These refined, generous-sized rooms are perfect for two, whether you opt for a double or twin layout. Situated on the ground and second floors of the hotel, the partial sea view bedrooms at Mullion Cove hotel offer a mixed selection of the surrounding coastal scenery which could include Mullion Harbour, Island and Cove or views across the National Trust Headland and along the Coastal Path. Available as double and twin rooms, the following facilities are included: Vispring beds for the ultimate luxury bedrooms, direct dial telephone, remote control colour TV, hairdryer, tea and coffee making facilities and individually controlled heating.